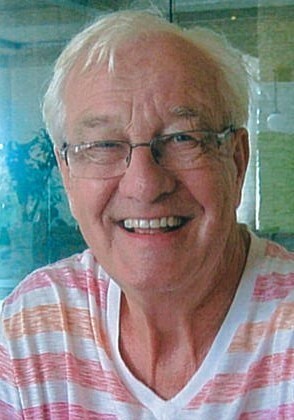 Provide comfort for the family of Jurgen Hambrock with a meaningful gesture of sympathy. Jurgen Hermann Christian Hambrock, of Hanover passed away on Hanover & District Hospital at Hanover & District Hospital on Monday, January 28, 2019. He was 77 . Beloved husband of Lucy for 52 years. Loving father of Christian and Cheryl of Hanover and cherished Opa of Traskya, Kashtaya and Jude. Dear brother of Inge Hambrock and Karin Hambrock both of Bremen, Germany. Jurgen was predeceased by his parents Joham and Anna (nee Leigting) Hambrock. Cremation has taken place and a service will be held at a later date. As expressions of sympathy, donations to WES For Youth Online would be appreciated by the family. Cards available at the funeral home. Visit www.cameronfuneralhomes.com to view Jurgen 's memorial. Donations are being accepted for: WES for Youth Online. We encourage you to share any memorable photos or stories about Jurgen. All tributes placed on and purchased through this memorial website will remain on in perpetuity for generations. Dear Lucy & Family, we were saddened to hear of the passing of Jimmy. We will always remember the good times at the races at Mosport and Watkins Glen. Also the times with both of you at Wasaga Beach during the summer. Our sympathies are with you during these difficult days. LOL Nadine - Bill Belitski PS Lois & Dennis Calkins ( Syracuse) send their condolences. So sorry to hear of Jurgen's passing. He always seemed like such a happy, friendly, nice man, and was always keen to chat at the pool, McDonald's, or at the Walkerton arena. Thoughts are with you. Dave & Denise Cantlon Very sorry to learn of your Dads passing, please accept our condolences, as you move through a difficult time. We will pray for all of you.